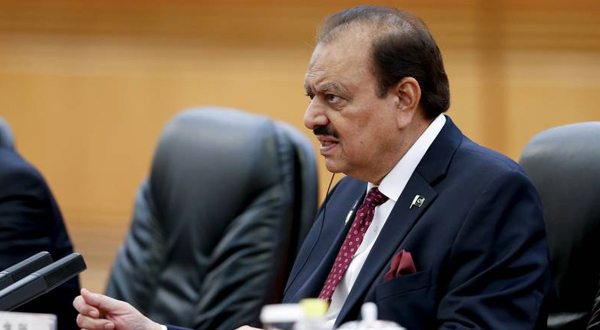 ISLAMABAD: President Mamnoon Hussain has said that apart from attaining high standards of education, strong character and high moral values were the vital elements required for the progress and development of a nation. Addressing a ceremony here at the Aiwan-e-Sadr on Thursday to distribute awards and certificates among the outstanding students of Federal Board of Intermediate and Secondary Education (FBISE), Mamnoon Hussain said while education can pave the way for success in the material world, high moral values and character brings the blessings of Allah Almighty and leads to further success in all fields of life. Caretaker Minister for Education Mohammad Yousuf Sheikh, FBISE Chairman Dr Ikram Ali Malik, students, teachers, and parents attended the event. Mamnoon Hussain said that successful nations always keep this important aspect in view while bringing up their next generation. The President asked the students to work even harder and learn from the role models and success stories of the youth in the modern world. At the same time, he stressed, the students need to keep in view the moral values of the society and bring laurels for the country. He asked the girl students to get higher education in all fields, and especially focus on vocational and technical education. He said being half of the total population the girls can play a vital role in the progress of the country. Mamnoon Hussain said they can particularly play their positive part in the China Pakistan Economic Corridor and benefit from the vast opportunities available. The president said it was the collective responsibility of the nation to provide best possible facilities and a conducive atmosphere for the grooming of the youth and to offer them an opportunity to concentrate on their studies. Mamnoon said they still have a long way to go and urged them to continue to focus on their targets with commitment and zeal. He was optimistic that the bright students would bring laurels for the country. The president advised the students to focus on their studies, respect their parents and teachers, as it was owing to the hard work that they reached this stage.